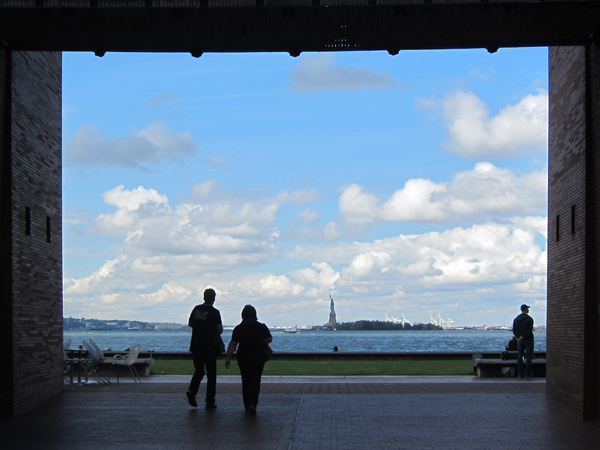 Capitalizing on views of the Statue of Liberty and Ellis Island, this waterfront park lies at the southern end of Manhattan. 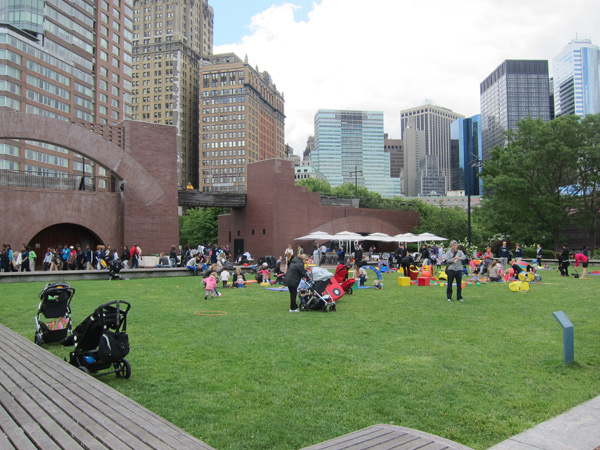 Named for a prominent New York public figure, the park is part of the network of open spaces that comprises the 92-acre Battery Park City, an extensive mixed-use development begun in 1979. 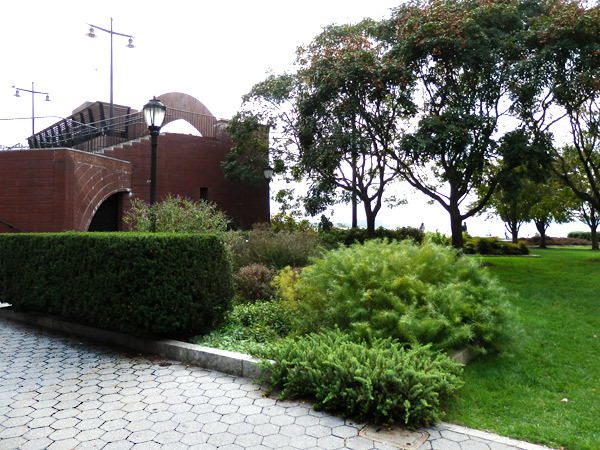 Wagner Park, which opened in 1996, was a collaboration of Laurie Olin with Hanna/Olin, Lynden Miller who designed the native plant palette, and Machado and Silvetti Associates who performed architectural services. 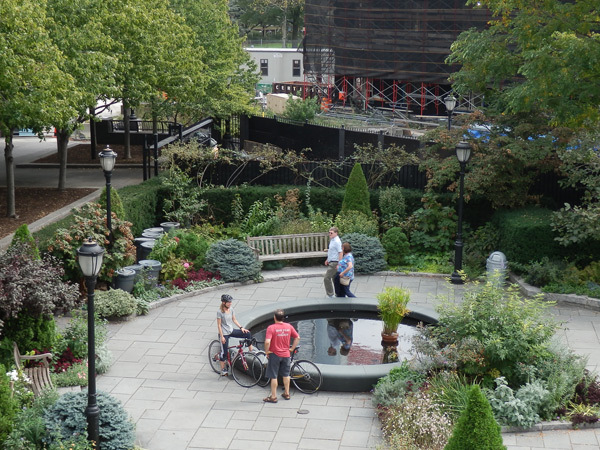 The 3.5-acre park is divided into two halves by a multi-level brick structure featuring a pair of pavilions. 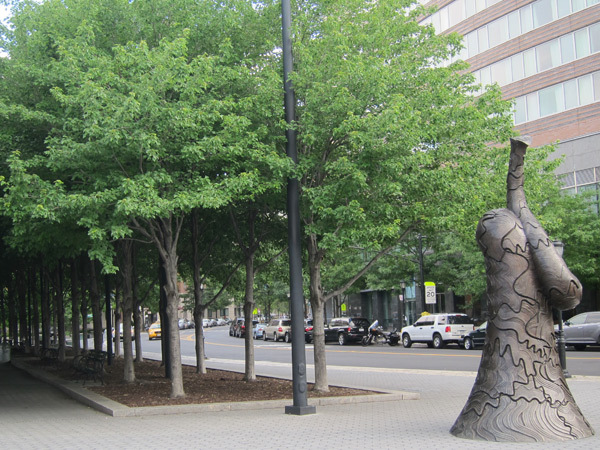 The eastern side faces the city: An open plaza is flanked by two allées of maple trees and punctuated with contemporary sculpture. 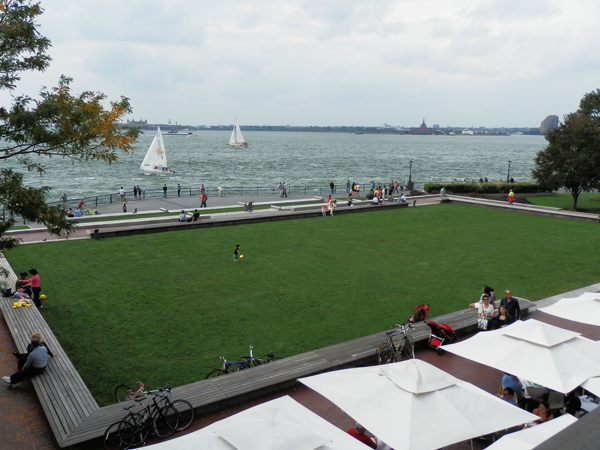 The pavilions, which house a restaurant and public amenities, offer access to the park’s waterfront side. Visitors can either ascend to roof decks that overlook the park and offer panoramic views of the Hudson River or enter the park at grade through a framed opening on axis with the Statue of Liberty in New York Harbor. 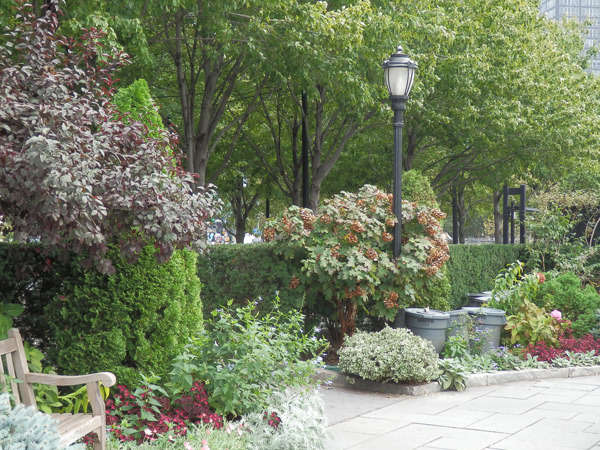 West of the pavilions, the park is comprised of a rectangular lawn, planting beds, and groves of trees. 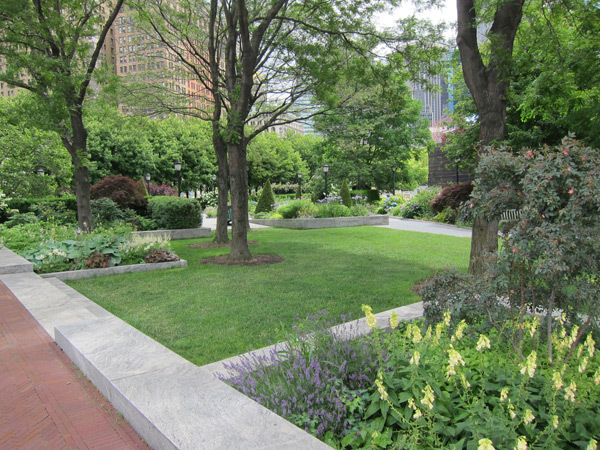 Contrasting with the densely planted native perennial and seasonal beds found elsewhere in the park, the open lawn—which doubles as an ice rink—is edged by wide, backless wood benches. 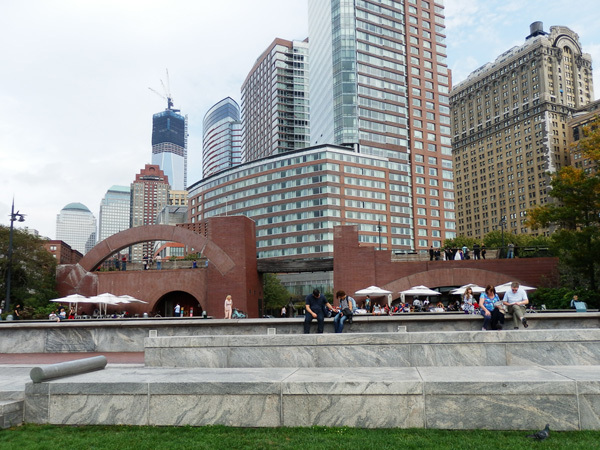 Amphitheater-style seating comprised of marble benches overlook the river and an esplanade connects Wagner Park to Battery Park City.